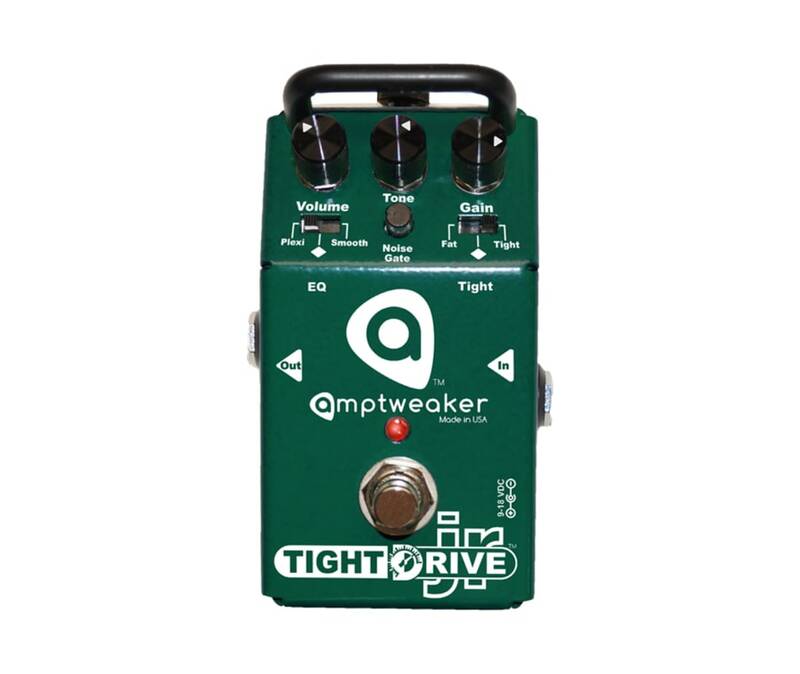 Derived from Amptweaker's Pro series, the Tight control and Fat switches were re-configured into a 3-position Fat/Normal/Tight switch to dial in the attack of the notes from thick and heavy to aggressive and chunky. An EQ switch similarly provides Plexi(Thrash on TightMetal JR)/Normal/Smooth tone settings, which helps the pedals cover much of the range of both their Fat and Tight parents. In addition to Gain, Tone and Volume knobs, theres also a manually-adjustable Noise Gate which can be cranked to stop notes hard and fast. And the great thing about a built-in noise gate is that it goes away when you turn the pedal off.....so your clean tone is unaffected!